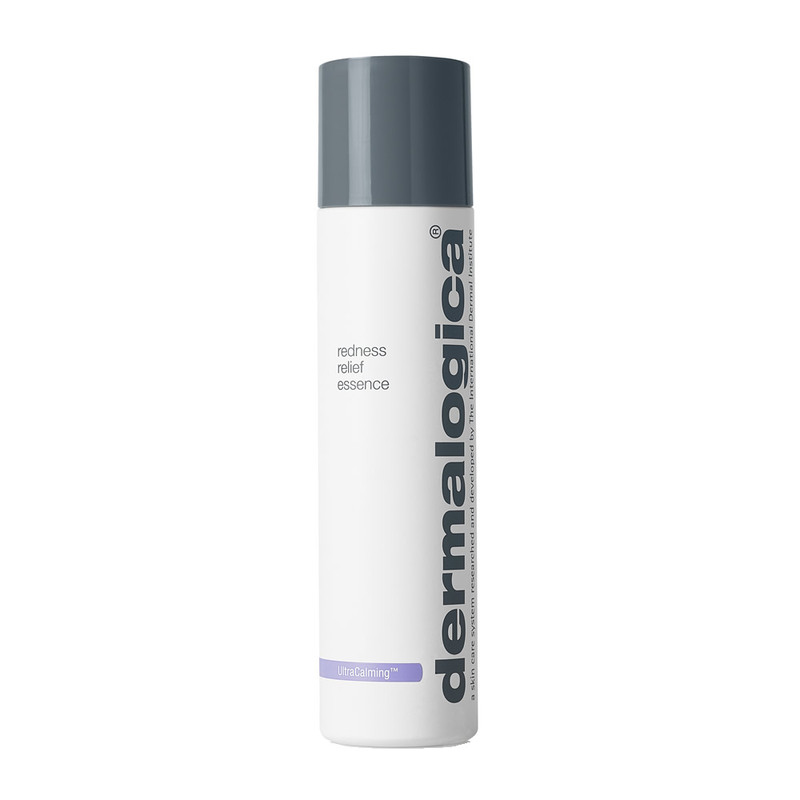 Introducing the new Redness Relief Essence from Dermalogica! Available 01/04/2019. We caught up with Dermalogica’s Education Executive Victoria Schofield to find out more. UltraCalming has a new addition! Redness Relief Essence joins Dermalogica’s UltraCalming line and replaces UltraCalming Mist, but fear not Mist fans! Redness Relief Essence gives you the same hydrating and calming benefits, plus much much more! Originating from Korea and the K-beauty trend for multi-step skin care regimens, an Essence is a hybrid product; lightweight and hydrating like a toner yet concentrated with actives like a serum. Like an advanced treatment toner that offers immediate hydration plus long term skin benefits. Dermalogica’s new Redness Relief Essence uses this hybrid formula to address a key symptom of sensitive skin – redness! Simply cleanse the skin, remembering that if you’re sensitised to keep water at a tepid temperature and be gentle with your cleansing movements. SHAKE the bottle to ensure the active ingredients are dispersed in the fluid and use a couple of drops, pressing gently onto the skin. Complete your regimen with a serum such as Barrier Defence Booster from the UltraCalming line, which is particularly good if your skin is dry and irritated and then moisturise with something like Calm Water Gel to further soothe the skin and lock in hydration.